Alchemy, or “Divine Chemistry”, has for centuries fascinated practitioners and armchair enthusiasts alike. The possibilities of experiencing an actual transmutation of a base metal into gold, achieving long and healthy life, or immortality, are the legendary promises that await the successful alchemists in their search for the Philosopher’s Stone. “Alchemy is a rainbow bridging the chasm between the earthly and heavenly planes, between matter and spirit…alchemy, the royal sacerdotal art, also called the hermetic philosophy, conceals, in esoteric texts and enigmatic emblems, the means of penetrating the very secrets of Nature, Life, and Death, of Unity, Eternity and Infinity. Viewed in the context of these secrets, that of gold making is, relatively speaking, of little consequence: something comparable to the super-powers (siddhis) sometimes obtained by Great Yogis, which are sought not after for their own sake, but are important by-products of high spiritual attainment.” — Alchemy by S.K. de Rola. The Great Work, or Magnum Opus, of spiritual and physical regeneration as suggested by the works on alchemy say that the process consists of seven or twelve stages, which are repeated over and over again until perfection is obtained. These stages are first done in the World of Plants, the Metals, and finally Minerals. Some schools, including that of Paracelsus, suggest work in the animal realm, however, this is often shunned by many practitioners. The stages are said by many to represent the stages Nature herself took during the initial stages of creation. This is also represented in the Cosmos by the twelve signs of the zodiac, in the human organism by the seven major, and five minor (for a total of twelve), psycho-spiritual centers called chakras in Sanskrit. These centers are also linked to the endocrine and nervous systems in human beings. Thus, both the study of astrology, the astrological timings of experiments (at least in the beginning), and esoteric meditations, similar to yoga, for the rising of spiritual energy known as kundalini, are part of the alchemists discipline. The alchemist is in essence, a mystic, astrologer, and magician. This is the critical point, for to attempt to separate out the physical actions of the alchemist without the interior exercises and projections of them on or into the physical realm of the laboratory, is to reduce it to mundane chemistry. For alchemy to be alchemy, the Al, or divine aspect, must always be present in the consciousness of the operator. 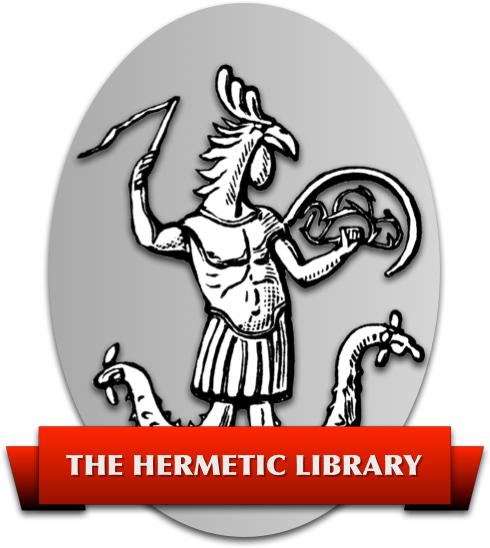 While Egypt is attributed with being the home of alchemy, and its god Thoth, or Hermes in his Greek incarnation, being the Father of Alchemy, other lands have contributed as well. China and India both have highly developed laboratory alchemical traditions that have been practiced in unbroken lines since their inception. It is in the West however, that we see some of the most fascinating aspects of the Art developed. Here, Babylonian, Chaldean, Egyptian, Greek, Hebrew, and Arabic methods were worked side by side. Through Arab trade, Chinese and Indian methods most likely were also introduced into the Middle East, and ultimately Europe. These diverse traditions were ultimately amalgamated in an attempt to discover the process for creating the Philosopher’s Stone. This is the Stone of the Wise said to confer the ability to transmute base metals into gold, prolong life, and cure all diseases. With it, the Elixir of Immortality could be attained. This idea of a Stone, of actual physical object as a means of bringing about dramatic changes in the health and well-being of an individual, is the basis for most experiments in all three Kingdoms that the alchemist will progressively work through. In alchemy everything is composed of three parts: Sulphur (Soul or individualized essence), Mercury (Life Force), and Salt (Physical Body). It is the Work of the alchemist to separate and recombine these three basic principles as often as necessary until they are in perfect proportion and harmony with each other. When this harmony is achieved, the creation of a ‘stone’ of physical object used in the transformation of the alchemist, or another, via a medium, such as water, wine, or direct contact will be produced. In the Plant Kingdom, the physical body of the plant itself is the Salt, its essential oil is the Sulphur, and alcohol (and occasionally water) is the Mercury. Thus, the aspiring alchemist seeks to separate these three parts and recombine them, giving rise to the phrase used by Paracelsus, spagyrics. Spagyrics is Greek for “separate and recombine” and is the term given to plant work, or the Lesser Circulation. The Greater Circulation consists of metallic and mineral work, its process follows the same principles as plant work, and is generally undertaken only after a certain degree of plant mastery has been attained. While much can be gained from the theoretical study of spagyrics, it is only in the actual conducting of experiments that any meaningful degree of insight and growth can be attained. For this reason, the following experiments have been given so that would-be alchemists can try it for themselves, without the heavy investment in laboratory equipment during their trial period. The methods given and time for completion reflect this simple, low-tech, approach. In some cases, however, with proper glassware and heat source, the time required can be dramatically reduced. The production of a spagyric tincture is the first and easiest of all operations. It requires no special equipment, and can be done by anyone anywhere, needing only patience and perseverance as its primary tools. For the sake of brevity, an example of a tincture will be given, with a specific herb - Lemon Balm (Mellissa Officianalis), although any plant can be used. Careful consideration must be taken into account as to the plants toxicity; as such, those listed at the end of this work are those most commonly used and are non-toxic. For each operation one (1) ounce (52 grams) of the dried herb will be needed. Unless otherwise stated, the bulk herb will consist mostly of leaves, some stem, and occasionally the roots of the plant specified. If you are unsure as to the content, either ask the herbalist you are purchasing it from, or grow your own and pick it yourself. I say grow your own herbs, then you will know positively the identity of the plant. While very few people die each year from plant mis-identification while wild crafting, picking plants in the wild, it does one no good to be among those dozen or so who make a fatal error. Be safe, buy it dried, or grow it yourself. If dried herbs are not available, fresh plants may be substituted. Alchemists have personal preferences as to when and where to use fresh versus dried plants. Experience will help you sort this out later on. For now, either plant will suffice for this experiment. In addition, four (4) to eight (8) ounces of pure grain alcohol will be needed. In some states purchasing grain alcohol is illegal, and in others, only 190 proof, or 95% pure alcohol, is available. The 190 proof is sufficient, and the most commonly used in plant work for beginners. If neither of these is available, vodka can be substituted, or alcohol can be distilled from red wine, or strong brandy. Note: Distilling alcohol from wine maybe illegal in some states. Check if you think this may be a problem. A wide mouthed jar, such as used in canning, along with a lid, and plastic food wrap, aluminum foil, fine mesh filter, and/or coffee filter and funnel. A mortar and pestle are optional, but desirable. A coffee grinder is also helpful. Begin the operation in the planetary hour of the ruling planet of the herb. Here, that is Jupiter, since mellissa is traditionally ruled by that planet. While planetary hours come several times a day for each planet, the first, and often easiest, is to begin within a few minutes of sunrise on the day of the ruling planet. Since Mellissa is ruled by Jupiter, and Jupiter rules Thursday, the first planetary hour of Jupiter would occur immediately after sunrise on Thursday. Start with prayers to God that the mysteries may be revealed to you and your place in the Universe restored. After interior preparation has been completed, take the herb and begin grinding it by hand, or in the small quantities in the mortar and pestle. Make it as fine a powder as possible, focusing on the idea that you are releasing the Divine Power in the herb as well as within yourself through the Work. If there is not enough time to grind all of the herb by hand, or it is too tough, such as a seed or root, then grind it partially in the coffee grinder. Here it is important that you spend some time with the herb in physical contact with you, as well as in the beneficial contact with your energy field or aura. If you must grind it entirely by machine, then place it in the mortar and grind it with the pestle anyhow, focusing on developing the energetic relationship between yourself, the herb, the planet ruling it, and that planets counter parts in your psyche and body. When the powder is finished, place it in the jar, and slowly, with concentration, pour the grain alcohol over the herb, until it is saturated with fluid and an additional equal to that (2-4 ‘fingers’) is also in the container. The jar should not be more than 1/2 to 2/3rds full of fluid at most, as room is needed for expansion as the contents heat during the maceration process. The fluid inside will evaporate as it heats, and condense as it is not capable of escaping. This will cause the fluid to get darker with each passing day. This coloration, or tincturing, is the extraction of the Sulphur-Soul property, from the Salt-physical plant matter, by the Mercury-alcohol medium. The fluid should not touch metal, and if needed, cover the mouth of the jar with food wrap prior to sealing it tightly with the lid. Wrap it in foil, as it can see no light, and place it somewhere warm, and shake it vigorously once or twice a day. Continue this process for one to two weeks, until the color of the tincture is dark. Remember, that this is your ‘Philosophical Child’ and must be treated with love and respect. Each time you handle it, for inspection, shaking, or in any fashion, remember that it is a physical representation of your soul-personality. Treat it no different than you would treat yourself, or better, a small animal, child, or house guest. As you separate the Sulphur from the murky sludge of the herbal mass, so are you separating your Soul from the constraints of physical life and incarnation. It is the attitude of the operator, more than the process itself, that makes alchemy divine. This attitude is literally transferred to the matter being acted upon, just as if it were a patient receiving magnetic or spiritual healing. When the final product is then consumed, we are taking into ourselves a veritable consumable talisman, like that which is suggested by the Christian Mass, only this our Body (Salt) and Blood (Mercury) regenerated, to receive the power of Christ (spiritual power, or Sulphur). Each time we repeat the process, we are regenerated by minute degrees closer to perfection. After the color of the liquid is sufficiently dark, pour it off, being careful to strain or filter it, then press out the remaining fluid from the plant matter. This tincture now contains the Sulphur (essential oils, waxes, and vegetable fats) and the Mercury (alcohol and some water) of the Lemon Balm. Take the plant mass, or feces, also called the caput mortum or dead head, outside and ignite it in a heat resistant container. Place the container upon some bricks if needed, to act as a heat shield for the surface area underneath, such as grass or even exterior carpeting. Have on hand a pair of oven mittens and a large pot lid. The pot lid is to smother the flames if necessary, as well as to protect the dried ash from blowing away in a sudden breeze. For this operation, a large, deep container used for baking, is ideal. Metal can also be used here, as our concern is not with what may be drawn out of the ashes, but out of the tincture. The smoke released from the burning plant residue will be significant, as such, if it is done inside, make sure that the exhaust fan on your stove is functioning. After the matter (Salt) has cooled, place it in a heat proof dish, covered if possible, and heat it in the oven at 500 or more degrees Fahrenheit until it has turned to a grey-white, or completely white powder. Frequent grinding of the Salt will assist in this process. The finer the particles during the maceration process, the more Sulphur extracted; the finer the particles during the heating, or calcining, process, the easier it is to get the grey-white or white stages of purification..
Keeping the Salt separate, place a few grains of it in a teaspoon (or 1-2ml/10-20 drops) of the tincture, in a glass of distilled water. This should be during the planetary hour, on the planetary day ruling the herb, in this case, Thursday. While the Salts need not be consumed with the tincture, they will assist in the overall effects of the operation. Above all, remember the sacredness of the operation you have performed. Its intended regeneration: physically, psychologically, and spiritually, through the assistance of the tincture as a manifestation of your spiritual power. Some alchemists combine this aspect of the Work with kabbalistic or astrological invocations, similar to what is done for talismans, to intensify the desired effects. In our next article, we will examine the preparation of the Ens Tincture, another simple and highly beneficial experiment. In our third and final article in this series, we will explore the preparation of the Vegetable Stone. 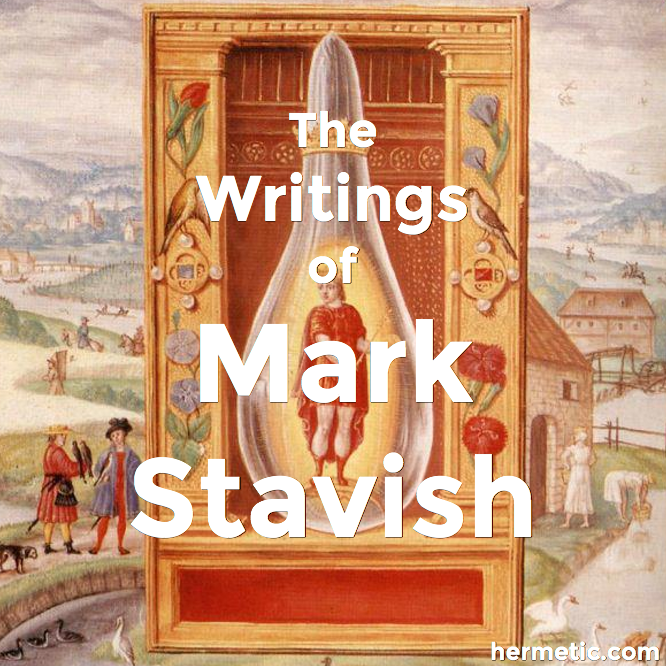 The articles in this series are excerpts from the forthcoming title, A Short Course in Plant Alchemy by Mark Stavish.